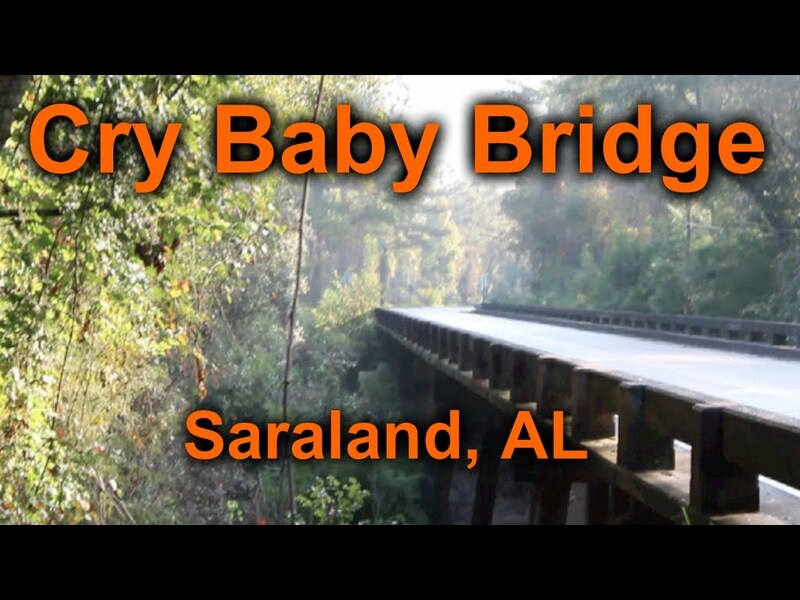 Throughout the United States there are lots of “Cry Baby Bridges” each one has their own legend behind it but they all relate to a incident with a mother and her baby. In the article the, bridge in South Carolina just north of Pageland claims to have a Cry Baby Bridge. This tells a story about a women and her new born baby. The story is that the women and her baby were one the way back home one night and she was extremely tired and ready to get home because her husband was coming home the next day from fighting in a war and she was ready to see him. The next thing she knew she took the turn around the bridge to fast and she soon realized that her baby had been thrown from the car. She was looking and looking and couldn’t find her baby but could hear him. The baby’s cry got faint and she couldn’t find him. It is said that if you go to the bridge at night time and turn your car off, you will hear the cry of the baby. In Wood Bridge, New Jersey there is a legend that goes along with there Cry Baby Bridge that there was a couple who just had a baby and the man got very jealous that his wife was showing the baby more attention and ended up throwing the baby off of the bridge and killing his wife. The legend says that if you go to the bridge in New Jersey you will hear the ghost of the baby cry and feel your car move like someone is pushing it. In Saraland, Alabama the Cry Baby Bridge and is said to be one of the most haunted places in America. The story is that a plantation owner caught his wife in the arms of his biggest and strongest slaves. When the women found out that she was going to have the slaves child, she carried the baby until full term and then drowned the baby in the creek under the bridge. Its said that the ghost of the women and child are still heard. In Millington, Maryland the legend goes there was a teenager girl who was about to become a mother and right when she had the baby, she found out that he had deformed legs. She took the baby to the bridge and tossed him over. It is said now that he is a ghost with very strong legs, knocking over trees with his crying fits. All of the trees that have fallen in the area are blamed on the ghost. There has been people with experiences with this bride, such as their car not wanting to start and hearing gurgling sounds in the water below. This image was caught by a person who has visited this bridge in Maryland. In Aiken, South Carolina where I attend college there is said to be a Cry Baby Bridge, the story is that the mother killed her baby because she thought the child was interfering with her and her husband. I think it would be cool to go visit to see if one of these bridges is really haunted. Herman, Amanda. “Cry Baby Bridge” http://www.serpentsofbienville.com/cry-baby-bridge/ Date accessed 17 October 2016. 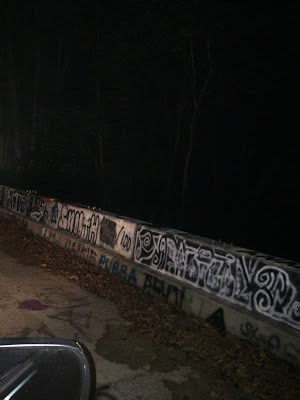 “Cry Baby Bridge” http://www.hauntedplaces.org/item/cry-baby-bridge/ Date accessed 17 October 2016.